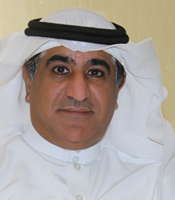 Dr. Abdullah Almojel is an engineer and has been an educator and a senior leader in the Saudi higher education system for more than 20 years. From 1997 to 2001, he served as an assistant and associate professor of computer engineering at King Fahd University of Petroleum and Minerals in Saudi Arabia, where he later became department chairman. In 2001, following his tenure as university professor, Dr. Almojel was appointed deputy minister for cultural relations in the Saudi Ministry of Higher Education. In 2009, he became a founding member of the executive leadership team to establish the King Abdullah University for Science and Technology (KAUST). From 2009 to 2014, Dr. Almojel was instrumental in establishing new departments, leading initiatives, and forming strategies to strengthen KAUST’s national and international position, and he was chief strategist in seeking external philanthropic support. After extensive work in the academic and government sectors, Dr. Almojel entered the private sector and became the founding president of a social enterprise called Global Dimension for Education and Training. Dr. Almojel earned his bachelor of science degree in computer engineering from King Saud University in 1987, his master of science degree in computer science from University of Denver in 1991, and his doctor of science degree in computer engineering from GW in 1997. Lieutenant General (Ret.) 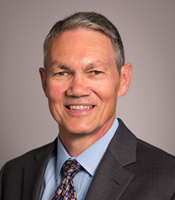 Thomas Bostick currently serves as the senior vice president of the environment sector at the biotechnology company Intrexon. Prior to this role, he served as the 53rd U.S. Army Chief of Engineers and Commanding General of the U.S. Army Corps of Engineers, where he was responsible for most of the nation’s civil works infrastructure and military construction. He was responsible for total Army personnel and manpower, and deployed with the 1st Cavalry Division in support of Operation Iraqi Freedom before commanding the Army Corps of Engineers Gulf Region Division. There, he was responsible for more than $18 billion of reconstruction in Iraq. He also served as an associate professor of mechanical engineering at West Point and was a White House Fellow, serving the Secretary of Veterans Affairs. He is a 1978 graduate of the U.S. Military Academy and received master of science degrees in civil and mechanical engineering, respectively, from Stanford University in 1985. He received his doctor of philosophy in systems engineering from GW in 2016. Dr. Christine Mann Darden is an internationally recognized authority in the field of sonic-boom minimization. Dr. Darden began her 40-year career at the NASA Langley Research Center in 1967 as a data analyst and was reassigned to the position of aerospace engineer in 1973, where she began her work in sonic-boom minimization. In her roles as researcher and leader, she contributed a computer-based tool for the definition of the equivalent area of a minimum-boom aircraft for given flight conditions. With a partner, she then validated this process by designing models to the equivalent area and testing them in wind tunnels. In 2002, a test flight of a modified F-5 Sonic Boom Demonstrator validated the equivalent-area approach to sonic-boom minimization in flight. Dr. Darden became a member of the Senior Executive Service at NASA in 1999, when she was named director of the Aerospace Performing Center Program Management Office. She also served as the assistant director of Langley for Strategic Planning, and finally as the director of strategic communications and education before retiring in 2007. Dr. Darden received her bachelor of science degree in mathematics from Hampton University in 1962, her master of science degree in applied mathematics from Virginia State College in 1967, and her doctor of science degree in mechanical engineering from GW in 1983. Dr. Rachelle Heller is a professor of computer science at SEAS, where she joined the faculty in 1985. Her research interests are in the area of computers in educational settings and the impact of interactive multimedia on learning in these environments. From 2003 to 2016, Professor Heller served as associate dean, and later as associate provost, of GW’s Mount Vernon Campus. During the same period, she directed the Elizabeth Somers Women’s Leadership Program. In both capacities she was a strong proponent of developing initiatives to introduce girls and women to Science, Engineering, Math and Technology (STEM) fields and to retain them in STEM fields. Over the course of her career at GW, she has won more than $3 million in grants that support these efforts. She also has been integral to helping develop GW’s CyberCorps program, and she has initiated key programs that help SEAS acclimate and retain undergraduate students. Professor Heller has been recognized among the top "100 Inspiring Women in STEM" and highlighted by INSIGHT Into Diversity magazine for her programming and mentorship. In 2010, she also received the George Washington Award for her exceptional contributions to the university. 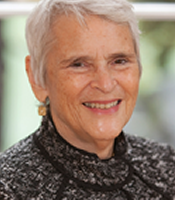 Professor Heller received her bachelor of science degree in chemistry from State University of New York-Stony Brook in 1964. 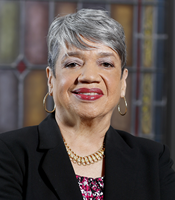 She received her master of science and doctor of philosophy degrees in computer science from the University of Maryland in 1972 and 1985, respectively. Mr. Richard Ivey is the worldwide vice president of research and development for Diagnostics Systems at Becton Dickinson and Company. 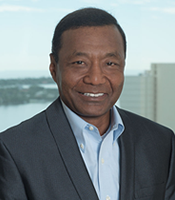 Mr. Ivey joined Becton Dickinson in 1982 serving in various capacities of increasing responsibility from manufacturing engineer, to product development technical lead, to R&D director for blood culture and TB diagnostic programs, to director of product development for the Becton Dickinson microbiology diagnostic business. Since 1999, Mr. Ivey has worked in his present role at Becton Dickinson, where he leads an R&D team of over 400 engineers and scientists located in six worldwide sites. These sites comprise technology capabilities ranging from infectious disease diagnostic instrumentation and laboratory automation engineering to microbiology, molecular biology, immunochemistry and cytology. As a technology leader, Mr. Ivey has successfully led an organization that has delivered multiple new diagnostic platforms for the company, overseen technical due diligence for two key acquisitions for the company, and established an R&D presence in China. Overall, Becton Dickinson’s Diagnostic Systems annual sales total more than $1.3 billion per year. Before joining Becton Dickinson, Mr. Ivey worked at Celanese Corporation in North Carolina and North Anna Nuclear Power Station in Virginia. Mr. Ivey has received multiple U.S. and worldwide patents in the field of bacterial sepsis detection, and he was elected to the Maryland Science Center’s Board of Trustees in July 2017. Mr. Ivey received his bachelor of science degree in mechanical engineering from Virginia Polytechnic Institute and State University in 1978 and a master of engineering administration degree from GW in 1989.